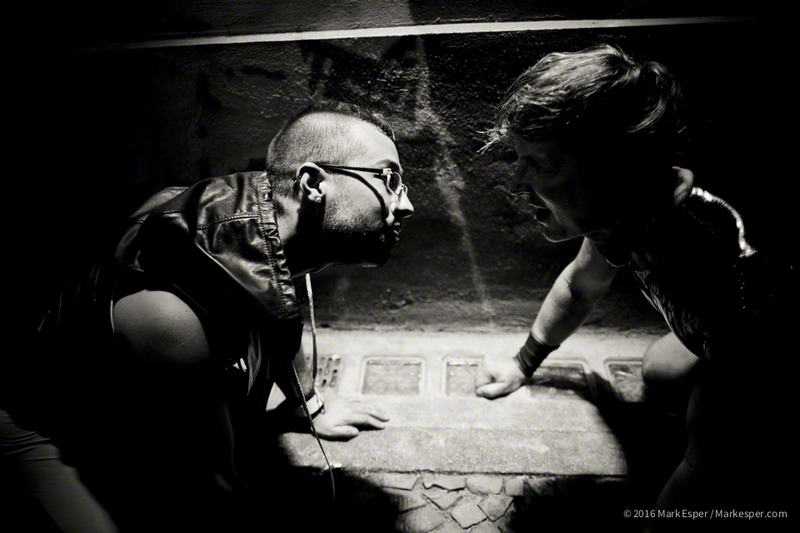 Photo series of two American puppies playing outside the Tristan & Isolde Bar in Berlin during the Folsom Festival. As with the puppy play of young dogs, these two can sometimes be tender, sometimes be savage and yet always playful under the streetlights of the German capital. Many thanks to Ryan ‘Pup Zero’ Evans and Pup Tim.